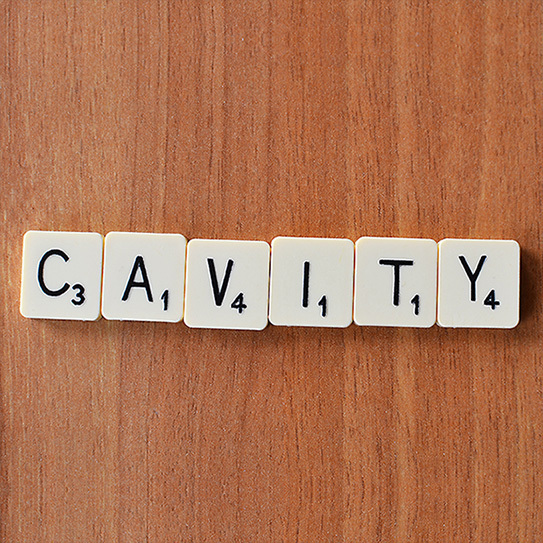 Home › Blog › Cavities All Of A Sudden? Cavities All Of A Sudden? SOMEONE CAN GO THEIR WHOLE LIFE without having a cavity, and seemingly out of nowhere find themselves at the dentist for a filling or two. How does this happen? The stress of changes in your daily routine, like starting a new job, starting school, or starting a new habit, can adversely affect your health—oral health included. It may even be the reason for the sudden appearance of a cavity. Stress affects us all differently, but a common side effect is experiencing a dry mouth. When your mouth is dry, there is an absence of saliva, which helps neutralize the acids in your mouth that cause tooth decay and cavities. If you’re experiencing some of these changes or exercising more than usual, make sure you’re getting enough water to drink throughout the day to prevent a dry mouth. Another reason for unforeseen cavities may be a change in diet. Are you consuming more acidic foods or drinks? Some common culprits are citrus fruits, tomato sauce, and sports drinks. What about more frequent consumption of sugar or soda? The amount of sugar you eat matters less to dental health as the time of exposure does. Sipping on soda all day can be worse than eating a large chocolate bar all at once. If you have a sore throat or the flu, sucking on cough drops all day long can easily cause cavities. Chemotherapy is also a common offender and in many cases results in dry mouth, making one more prone to cavities. Are you brushing and flossing your teeth regularly and with the proper technique? This one goes without saying. Make sure your home hygiene routine is up to par. Avoid overbrushing as it can damage your teeth and may result in cavities. If you brush more vigorously than necessary, you risk cutting away the protective enamel of the tooth, making it more vulnerable to decay. Gum recession is also a result of overly aggressive brushing. Receding gums expose the root of the tooth that is usually below the gumline. The root does not have the enamel covering like the rest of your tooth, which protects it from cavities. Additionally, if you’ve recently gotten braces, you may have noticed that it’s harder to floss and brush than it used to be. Talk to us about how you can improve your technique so that braces don’t interfere with your dental hygiene. Getting to the root of the problem is the most important thing when it comes to your dental health. We’re here to work with you in treating and preventing tooth decay, so that you can have a healthy life and a cavity-free smile! Thank you for being our valued patient and friend! Top image by Flickr user Jeff Djevdet used under Creative Commons Attribution-Sharealike 4.0 license. Image cropped and modified from original.